Tokyo, Japan - A new paper published in the journal of Marine Policy estimates that 24–36% of 2.15 million tonnes of wild-seafood imports to Japan in 2015, valued at $1.6 to $2.4 billion, were of illegal or unreported origin. The UBC team included research members that completed an analogous study of illegal imports into the United States market, which highlighted similarly high IUU risks with 20-32% of US seafood imports to be of IUU origin. That study garnered significant attention in the US and helped spur major US Government action, including the Obama Task Force on IUU Fishing and the US Seafood Import Monitoring Program. “Sourcing practices in the principal seafood market states such as the US, Japan and EU can have ripple effects on fishery management practices in developing countries. The need for market state responsibility to control IUU trading practices has already captured the attention of policymakers in both the USA and EU. There is an urgent need for similar reforms in the Japanese seafood procurement system,” said author Dr. Ganapathiraju Pramod. 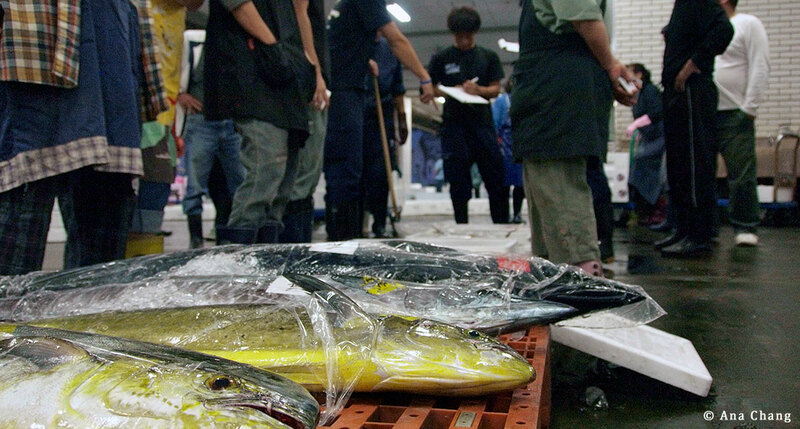 Japan should strengthen its customs and import inspection regime, ensuring that appropriate measures are taken to verify the legality and origin of seafood at all points-of-entry, both by sea and air. Japan should strengthen its domestic fisheries policy and regulatory framework—for both imported and domestic seafood—to mitigate IUU risk and increase traceability and transparency. In particular, traceability standards for industry should be established that require key data elements are used to verify the origin and legality of all seafood, from point of harvest to end market. A dialogue should be initiated with Japan’s seafood industry and major seafood importers in order to adopt appropriate traceability systems and other voluntary, market-based measures to prevent IUU products from entering respective supply chains. Additional studies are needed—including DNA and economic impact analysis—to evaluate the effect of illegal and/or mislabeled seafood products in Japanese seafood supply chains.